Quality, Consistency and Repeatability in Every Batch. Crafting the industry’s finest products, The Barrel Mill starts with the highest quality American White Oak staves – which are sustainably sourced and air dried up to two years. We then individually mold, joint, fire bend, toast and char to your specifications. Tongue and groove handcrafted heads are also charred, then sealed in place with local, organic beeswax. And finally, each barrel is hand tested with high temperature, pressurized filtered water to ensure there are no leaks. Nothing is left to chance. 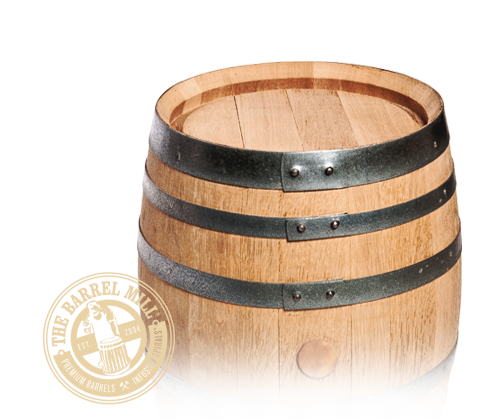 The Oak Infusion Spiral is our patented oak alternative used to add flavor and aroma to fine wine, but also can be applied to whiskey, rum and beer. It has been used in thousands of wines since 2005 with outstanding results from every major wine region in North America. 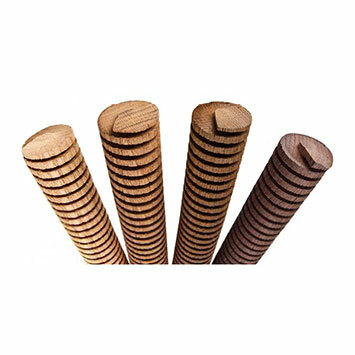 The unique spiral-cut design creates unrivaled surface area in a small package, allowing fast extraction of the toasted oak's aroma and flavor compounds with refined integration in the wine. 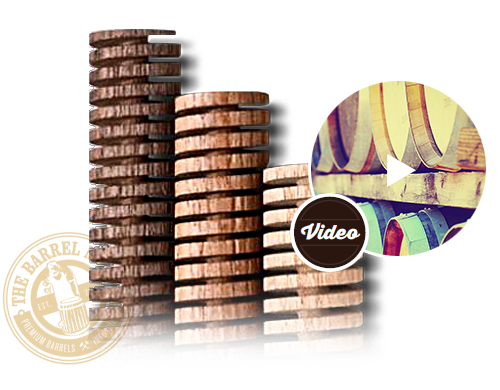 Make an immediate impact inside your business with a display system from The Barrel Mill®. Customize the perfect solution to use as a pedestal, container or one-of-a-kind dispenser. 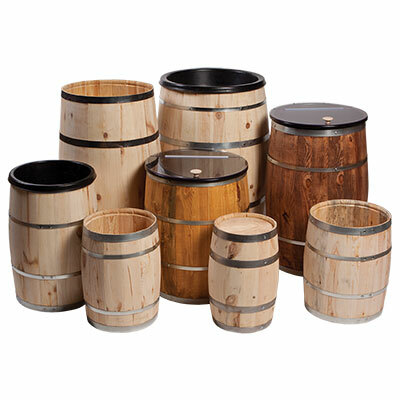 Roll out these barrels and watch sales roll in. For centuries the world’s most celebrated distillers have known charred oak barrels are essential for aging the best spirits. Now, the ability to achieve similar results directly in the bottle - adding color, complexity, smoothness and subtle overtones – is made possible with Oak Infusion Spirals from The Barrel Mill. 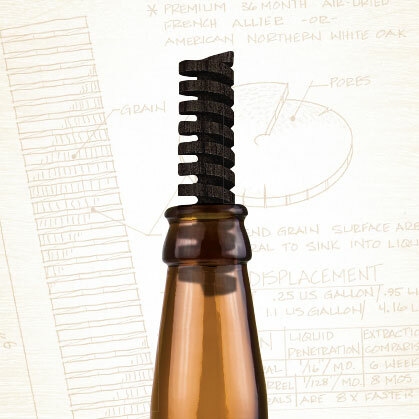 You can quickly and easily make a top-shelf impact on any bottle. In an age where Oak barrels are scarce, The Oak Infusion Spiral is widely known as an outstanding additive and alternative for fast Oak extraction and refined, integrated results. 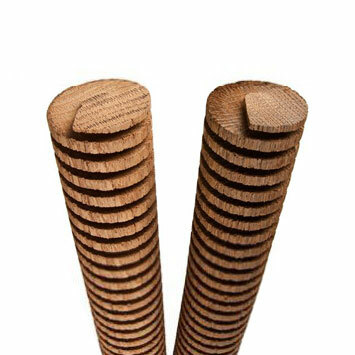 Our spirals are precision cut from premium oak, maximizing end grain exposure for full extraction in weeks, not months. 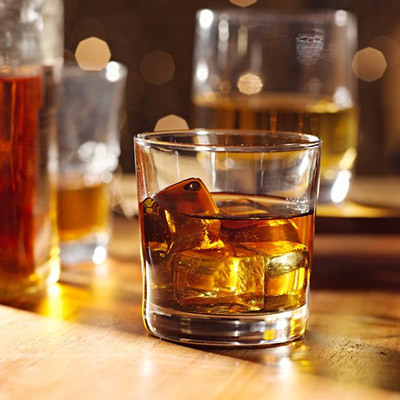 Tank and barrel applications are getting rave reviews with distillers and their whiskies are being lauded as some of the industry’s finest. 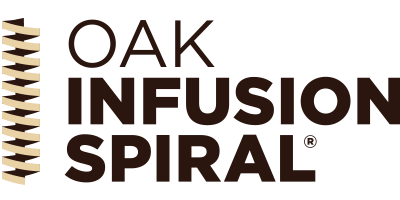 The Oak Infusion Spiral is the reliable oak alternative for simple and fast extraction of toasted oak aroma and flavor compounds that deliver refined, integrated results eight times faster than, and at a small fraction of the price of, a new barrel. Choose one of four single-temperature toasts when you desire a very specific concentrated flavor and aroma profile. Click the toasts below for descriptions. Use one of our Multiple Toast Barrel Pack Blends for a more layered and diverse flavor style. 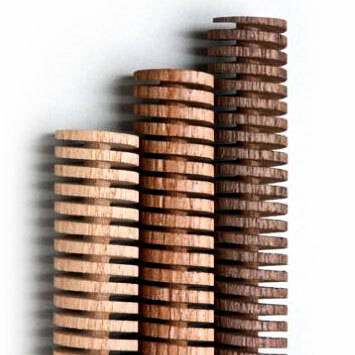 We like the Oak Spiral products for adding complexity to our blends. ...awarded a gold medal at the 2009 GABF for wood and barrel aged beer. ...winning awards left and right, including “The Best New Whisky of the Year”.